There is something magical about German Christmas markets: The colors, the lights, the sounds, the displays, the huge selection of hand-crafted goods, delicious foods, and intoxicating aromas. Time seems to stand still in this setting and you can easily lose yourself for hours. And that’s where two traditional German Christmas hot drinks come in handy to keep your warm as you meander your way through the stalls, inhaling the enchanting atmosphere. The first of these is Glühwein, a mulled wine with classic warming spices. The other, Kinderpunsch, is just what its name translates to: A punch for kids or for adults who don’t drink. It’s like the virgin version of Glühwein. I remember visiting the Stuttgarter Weihnachtsmarkt (where I grew up) every year next to the Altes Schloss (old palace). Clutching a mug of steaming hot Kinderpunsch between my hands, I would sip it slowly as we made our way through the market. 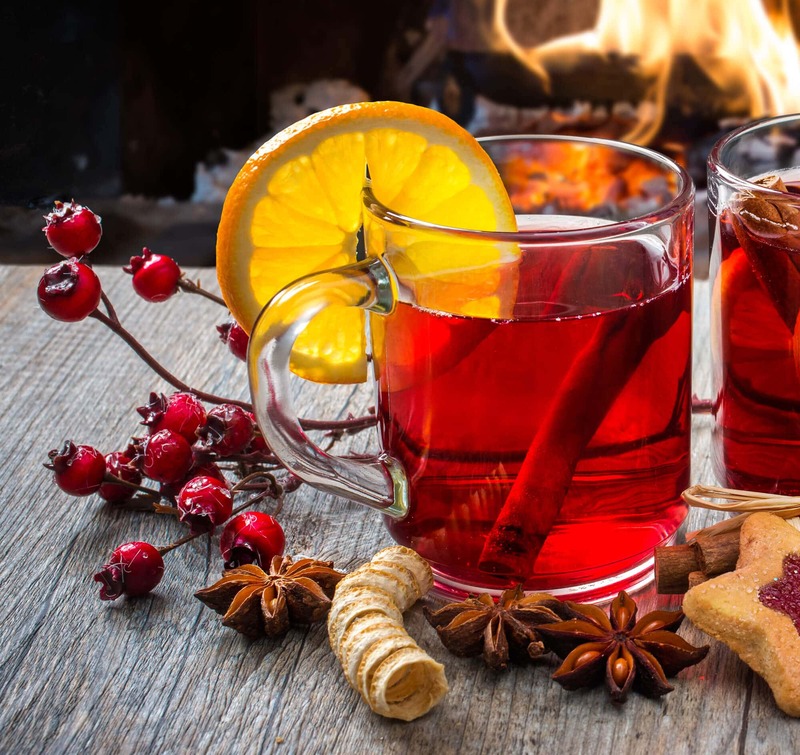 The thing that distinguishes this German punch from other mulled punches is the addition of Früchtetee (fruit tea), most commonly Malvetee (hibiscus tee), one of the most popular herbal teas in Germany. It infuses the punch with a red color and contributes a wonderful tangy flavor. 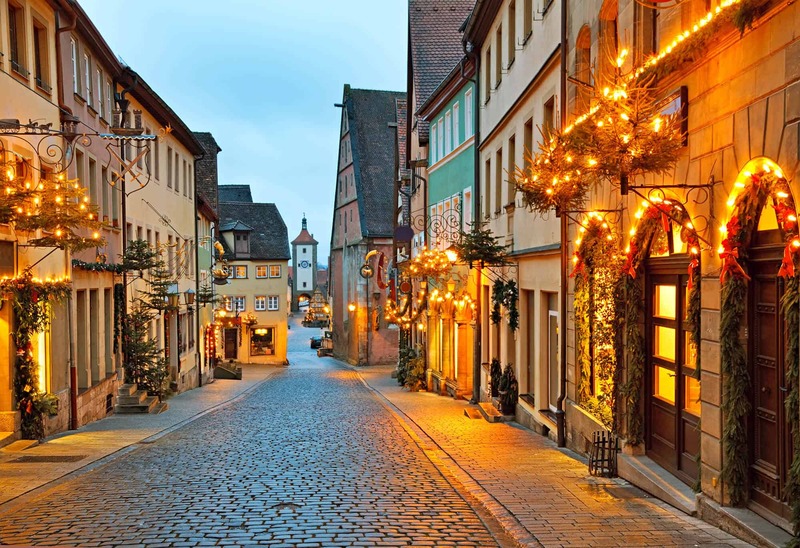 My most treasured Christmas market memories are of Rothenburg ob der Tauber, a small medieval walled city about an hour and a half northeast of Stuttgart (less if you drive like a German), and home to the world famous Käthe Wohlfahrt store and a special deep-fried pastry, Schneebälle. While it’s not one of the more famous Christmas markets because of its small size, it’s nevertheless my personal favorite because of the quiet and reverent atmosphere and the sheer beauty of the old setting. I remember those Winter family drives out to Rothenburg with my parents and brother, listening to three of our family’s favorite Christmas albums, The Carpenters, John Denver, and The Jackson 5, and enjoying more of that Kinderpunsch while strolling through the town with the lights twinkling along each cobblestoned street. And as funny as it might sound, every time I hear little Michael singing “Someday at Christmas” and “Give Love On Christmas Day” I’m filled with those cherished memories of that special German town in Bavaria. To make the Kinderpunsch, simply place all the ingredients except for the honey and tea in a stock pot and bring to a boil. Reduce the heat, cover and simmer for 15 minutes. Add the tea bags and let them steep, covered, for 10 minutes. Remove the tea bags and add honey to taste. Reheat the punch until hot. Serve hot. Optional garnishes to put in each mug include some orange slices, cloves, star anise or cinnamon stick. Serve hot. Optional garnishes to place in each mug include orange slices, cloves, a star anise or cinnamon stick. There are many variations of Kinderpunsch - use the fruit juices and ratios you prefer. This sounds wonderful and I am loving these gorgeous Christmas-y photos! I would LOVE to shop a German Christmas Market!! My son (who is a freshman in HS) is in his 3rd year of German and plans to go there in 2018. I need to find a way to tag along! This drink sounds wonderful and I’d like a cookie and a glass by that cozy fire! There’s a German Christmas market in Chicago and I love to go each year for Gluhwein. So fun and festive! Hi, Maris, could you tell me where is this German market, the info. Thank you. Those photos of Germany are beautiful! I can’t wait to try this! Love that pic of the fireplace, too. Several of my friends have had the chance to visit the German Christmas markets, and I long to visit them someday. This drink looks good for both kids and adults and oh-so-festive, too! These flavors sounds so soothing and wonderful together! I love your website. The international recipes the stories the fantastic photos. I can’t think of a recipe site of any kind I like more- and I live on the internet. I just wanted to say so. I would say I am in love with the Indian recipes but then I see the German ones then the African then even the ropa vieja we had last night. I hope to find a real deal sauerbraten recipe one day, but until then I have plenty to try starting with this punch tomorrow. Thank you for all you put into this site. I can’t tell you how much I appreciate that. You’ve made my day – thank you :) Sauerbraten is actually what we’re having for Christmas, we all voted on it :) So as long as I can stave off everyone long enough to snap some pictures of it I hope to have that real deal Sauerbraten recipe posted before too long! 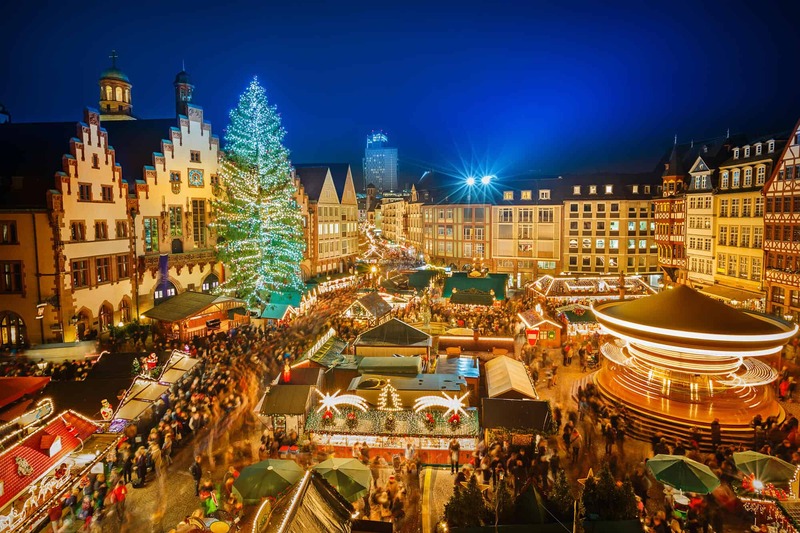 Sounds like an amazing way to spend Christmas – those markets remind me of Prague! You presented a real Christmas mood, love it! Schneebälle?! Whaaat?! Why don’t we have those here? :( And LOVE that last pic! Incredible. I’ve always wanted to go to a German Christmas market – it definitely sounds magical. And this kinderpunsch is so perfect for the season. Oh the sweet memories of a German Christmas market. Just the aroma of spices brings it all back. As a young child it was even more magical than when I went back as an adult. 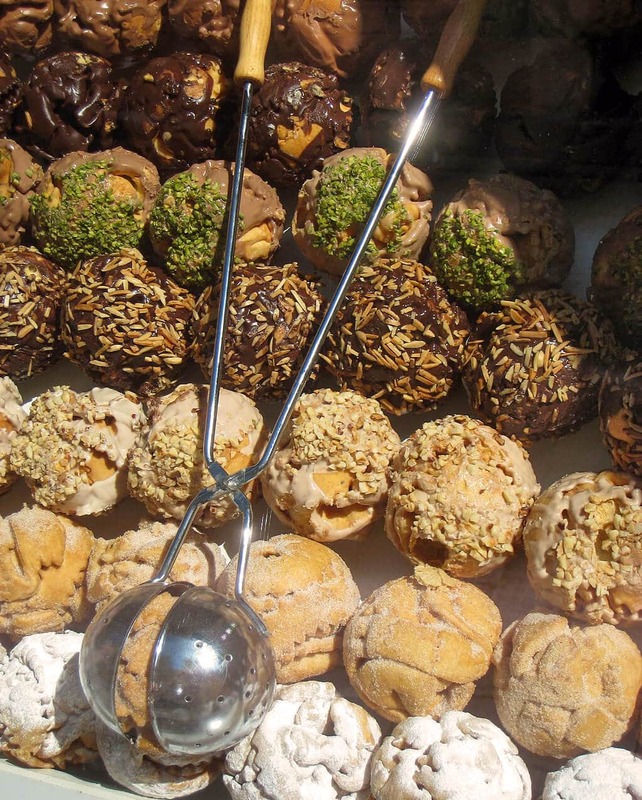 The large chocolate covered Lebkuchen in heart shapes hanging with red ribbons in the vendors stalls, the potatoes puffers, the Quark belle, the music and so much more is a real treat. Thanks for the memories and the pictures. You made my day. Now I’m going to go bake some memories. Thank you for sharing that, Ingrid. (By the way, you share my mother’s name and my daughter’s middle name :) Agreed, it’s especially magical as a child. I’m looking forward to being able to take my kids to Germany during Christmastime someday. My mother-in-law loves rich, fruity teas! I’m definitely going to be sharing this recipe with her! I’ve always wanted to go to a German Christmas Market! Love the punch and the photos!!! I hope to one day visit Germany during the holiday season. That spiced punch looks absolutely delicious! 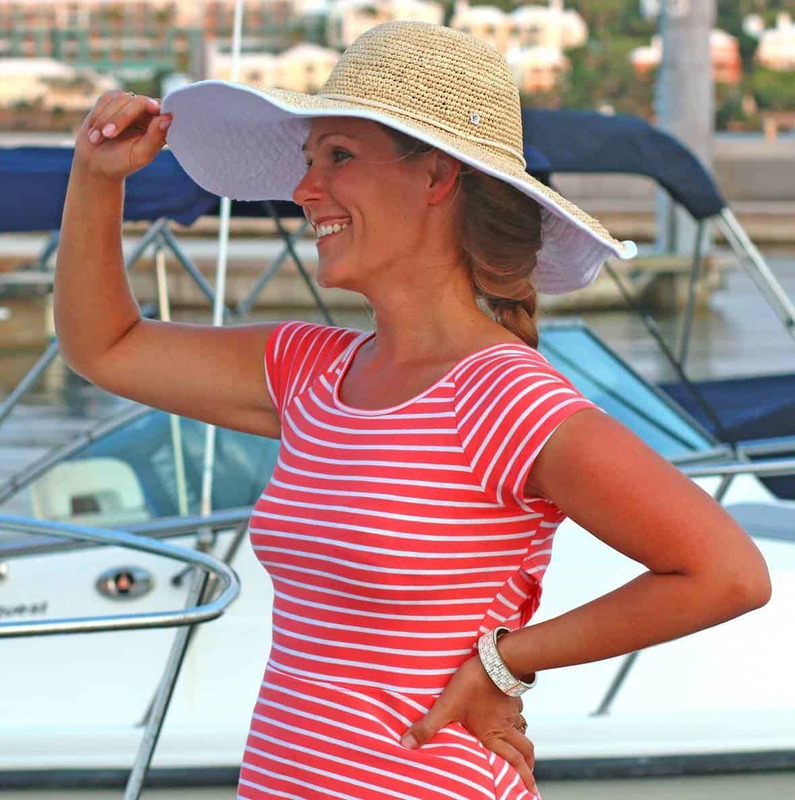 This punch sounds fabulous….and I love all the pics! Yay, Kelly! The Christmas market opens on the 29th, I wish so much I were there! I have looked of a recipe that would mimic that of what they serve at the market, but for 5 years I have not been able to duplicate it. Before I attempt it, do you know if this recipe is similar to what is used in Stuttgart? Hi David, it’s been several years since I’ve had Kinderpunsch at the Weihnachtsmarkt so I’m unable to do a direct side-by-side comparison, but yes, this is very similar, it tastes like how I remember it, and it’s made with the traditional ingredients commonly used to make Kinderpunsch. Not sure how this can be made with 2 cups orange juice yet the result in the pictures is completely clear? And I’ve just read that Kinderpunsch is the kid-friendly version of Glühwein, and I think I would like to make both. Do you have any recommended recipes for the glühwein, or a recipe modification of the kinderpunsch? Hi Garrett, sure thing. 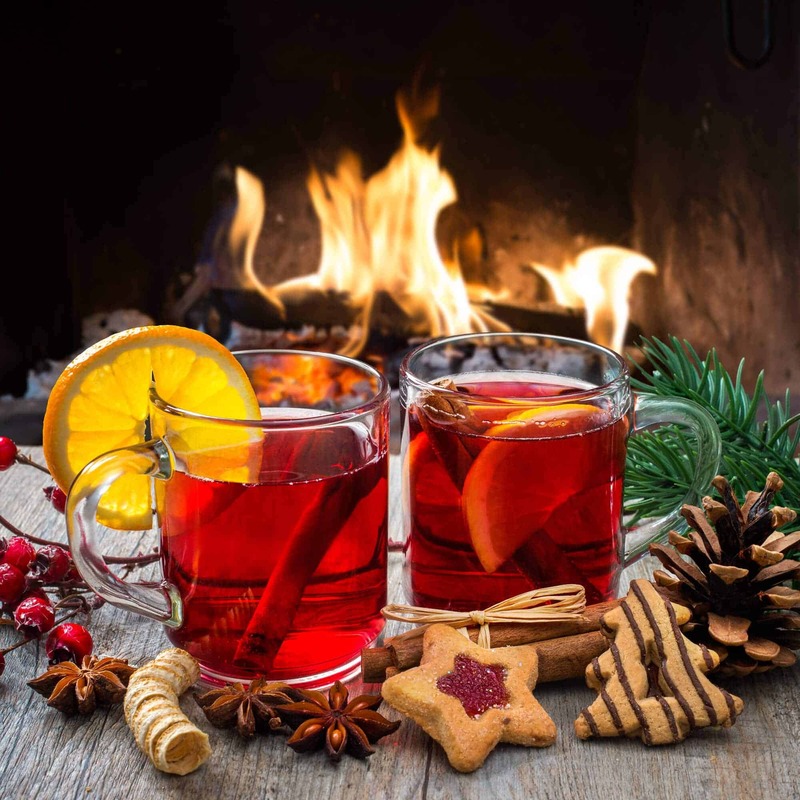 You can make a traditional Glühwein by pouring a bottle of red wine (750 mL) in a pot (some dilute it a little by adding an additoinal 3/4 cup water, your choice) along with 2 cinnamon sticks, 6 whole cloves, 2 star anise (optional) and one large orange (cut into slices). Some also include a lemon (cut into slices). So put everything in a pot and heat it just until below simmering and let it stay on low heat (don’t let it boil at any point) for an hour. Stir in some sugar or honey according to desired sweetness (generally between 1/3 to 1/2 cup sugar). Strain and serve. Thank you for the tip on not boiling the beverage to keep from cooking the alcohol out or overcooking the wine. Is there any preference regarding type of wine: merlot, cab, local favorites, etc.? And to all others, the Kinderpunsch recipe is delicious! We made this recipe as soon as we found it, and stuck to using all the optional ingredients (cherry juice & loose hibiscus petals). The drink came out to a wonderful, warm, rich colored shade of red and the amount of spice was perfect! Awesome, thank you, Garrett! The type of wine is purely personal choice (Pinot Noir, Merlot, Shiraz, Beaujolais, etc). 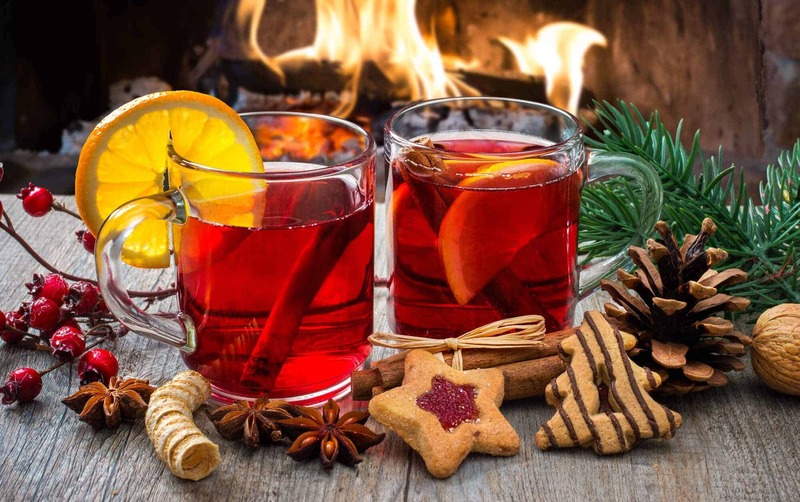 What is generally recommended when making Glühwein or mulled wine is to go with something inexpensive or “middle of the road.” The quality of the wine isn’t terribly important because the flavors of the spices and citrus are going to overshadow any delicate, subtle flavors of the wine anyway. Another note about heating the wine – some wines withstand heat better than others. Alcohol starts to vaporize at 173 F so be sure to keep the temp below that. Another option (requires less oversight), if you’re adding some water, is to simmer the spices in the water for a while first to release the flavors then add the wine and warm just until heated. We just returned from a holiday trip to Germany. Rothenburg and it’s Christmas Market was our first stop. Magical! My son loved the Kinderpunsch, and asked for it often during our travels. He will be so excited to make this at home. Thanks for sharing your recipe!